On the PCT, the odds are against you succeeding. Estimates say that between 50-60% fall short of their goal of completing the entire trail. There are a lot of aspects that contribute whether you will succeed or fail. Most of these aspects, you have little control over happening—the weather, water conditions, wildfires. 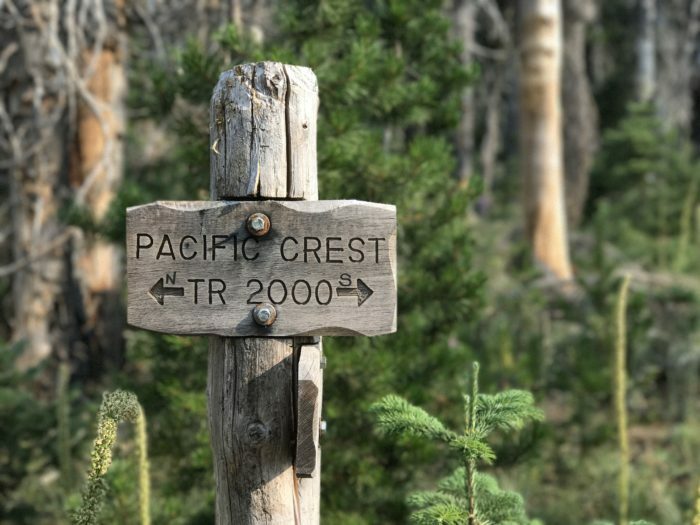 From blazing hot days in the desert, to challenging snowpack in the Sierra, to near-constant rain in Washington, the elements of the PCT can seem to be actively working against you. Not to mention that the very nature of the trail is that of a relatively narrow weather window. But your Pacific Crest Trail gear is one aspect of your thru-hike you have total control over. Choosing the right gear is a (relatively) easy way to stack those odds in your favor. Here, we’ll take a look at the different gear categories, how to choose the items to help you get from end to end, and some of the best options out there while maintaining a lightweight, manageable pack. Why Go Light on the PCT? The PCT is a long trail with some major ups and downs. You’ll be hitting some of the most extreme ecosystems you can get in the Lower 48. Having lightweight gear makes it easier for you to be nimble and safe when the weather turns nasty above treeline at Bighorn Flats. With a light pack, you’ll be able to focus more on the scenery, your friends, navigation, and safety instead of putting all your mental and physical energy toward moving your pack. Carrying a heavy pack is inefficient—it requires you to eat more food to power your body, which in turn requires carrying more food, which means you’ll have an even heavier pack. Carrying a lighter pack also puts you in a better position to help others if you need to carry an injured friend’s gear or rush to get emergency help. Yes, people have done the PCT with heavy packs; it’s doable. But today, you can easily hike the PCT with a 15-pound base weight. Technology improves for a reason and that reason is to make our lives easier. 2,650 miles multiplied by 450,000 feet of elevation gain is a lot of pressure on your knees, ankles, and feet. Joints, especially in the feet and ankles, will rub and fracture at a faster rate when you have a heavier pack. These are the injuries that take people off trail for good. These are the type of injuries that could ride with you even after the hike is over—for the rest of your life. So How Do I Go Lighter? Losing weight from your pack requires monitoring and putting your gear on a scale. Before you buy, write out your dream gear list. Create a spreadsheet and put in each item, its weight, and its cost. Adding in a simple sum formula, you should be able to figure out what each category of your items is weighing in at, and what your total base weight will be. Now, take a long hard look at that, and think, “Can I reasonably scale back on the weight within my price range?” Look to remove redundant items. What items can have multiple uses? The more you research, the lighter your pack can be. If you’re able to get in some shorter overnight trips or day trips with people who carry a lighter pack than you, they can help inspire you and teach you to use lighter items safely. They can also guide you on what gear you really need or what gear was a shady upsale at the big-box store. If you’re just starting to collect your backpacking gear for this trip, or are thinking about replacing some older items you have to get updated gear for the PCT, the number one way to reduce weight on your pack is to get your big three down in weight. The major three categories of backpacking gear are your sleeping bag/sleeping pad, shelter, and backpack. These items often take up 65-80% of the weight in a traditional pack. For an April to September thru-hike of the PCT, you’re likely to hit temps as low as the teens on a few occasions, and temps at 110 degrees or higher. You’ll be walking through desert, snow, temperate rain forest, and everything in between. 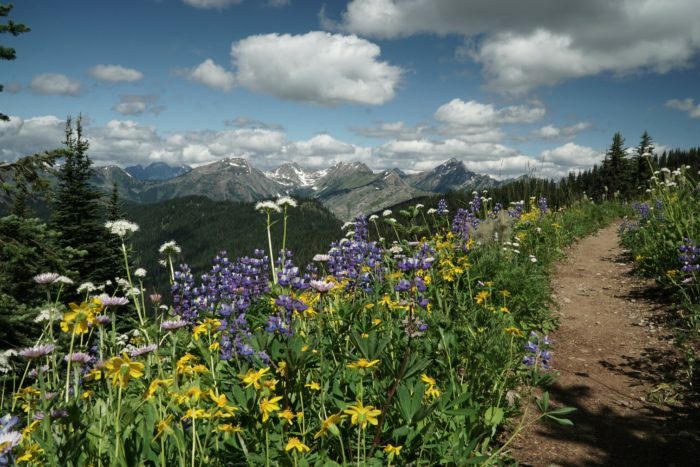 Most hikers find the PCT to be a drier trail than the Appalachian Trail. But when it does rain on the PCT, it’s often a cold rain that makes having rain gear essential to avoid hypothermia. The dry western climate can be confusing, too—expect some high temps during the day in the sun, but a major temperature change at night when the sun goes away—40-degree changes aren’t uncommon. How do hikers plan for these extreme conditions? Thru-hikers have a few options. You may consider having two sets of key gear items—one for the colder conditions and one for warmer conditions. Mail yourself the cold-weather gear when you get to the Sierra, and ship your warm weather gear home or to NorCal. When you get to Oregon, maybe you’ll need to do the trade again. Whether you are bouncing your heavy duty parka to the cold spots, or your 40-degree sleeping bag to the hot spots, the post office can be a huge help in ensuring that you have comfortable gear over the course of your hike. If you’re on a budget (or hate mailing stuff to yourself) and need one piece of gear to do it all, choose items that are versatile. It’s not going to be perfect in all conditions, but with a little tweaking, it’s going to get the job done no matter what gets thrown at it. Next, we’ll take a look at how to choose your big three, and a few of our favorite options for packs, shelters, and a sleep system. 15 lbs seems pretty heavy for a lightweight base weight. These days, people are regularly hitting 9-11 lbs for full-comfort setups, depending on luxuries like cameras and camp shoes etc. While the hard-core fast-packers are hitting 6-8 lbs (though in my opinion, they are often cutting it a bit fine for safety).